Nutter Butter cookies are getting a lot of attention this Halloween. First it was in the form of Nutter Butter bat cookies and now it is classic monster Halloween cookies. Jill will show you how to turn the store bough cookie into a werewolf, mummy, Dracula and Frankenstein. These would be great Halloween treats for a classic Halloween party. 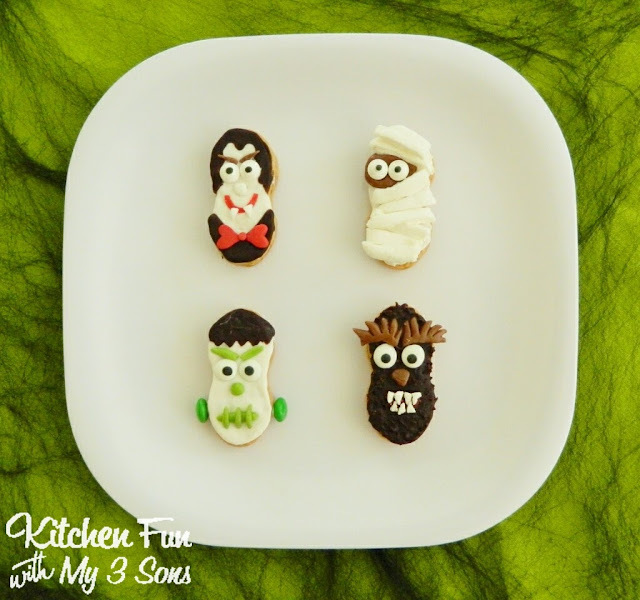 You can check out how to make these monster Halloween cookies over at Kitchen Fun with My 3 Sons. So cute! Pinning it to my Halloween board!